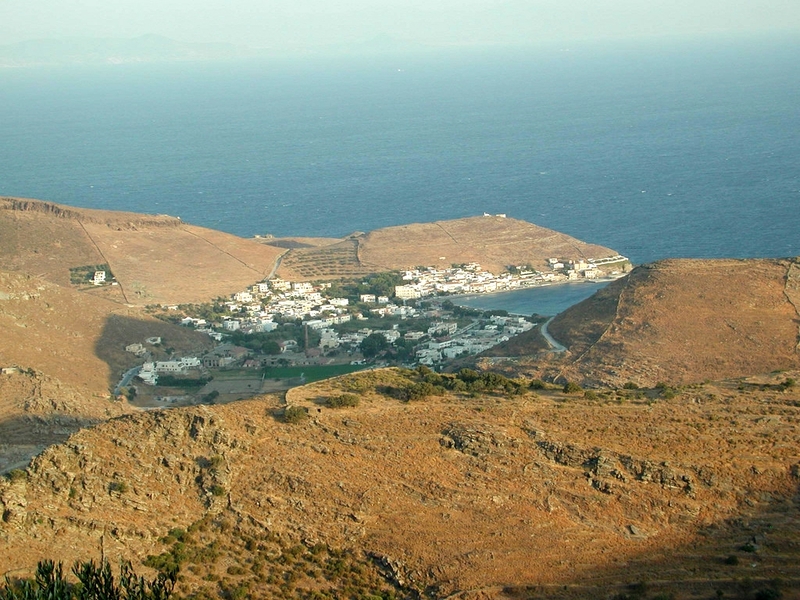 Kea is the most northerly of the inhabited Cycladic islands, and the closest to the Greek mainland. The only island closer is Makronisos, one of Kea's satellite islands, and the largest uninhabited island in Greece. Kea gets many more Greek visitors than it does foreign visitors, so it's the place to head for if you want a more authentic Greek experience. Don't do it on a Friday evening, though, when ferries are packed with mainland Greeks going away for the weekend. Kea is linked to the Greek mainland port of Lavrio by ferry, and that's almost the only way to get there. There are some ferry connections with other islands in the Cyclades, but they are few and far between. Nor are there any ferry connections with Piraeus. The ferry from Lavrio to Kea takes about an hour. Lavrio is about an hour south-east of Athens, with a regular bus service, and north of Cape Sounion. There are several ferries a day during the summer months, including early morning and evening departures. 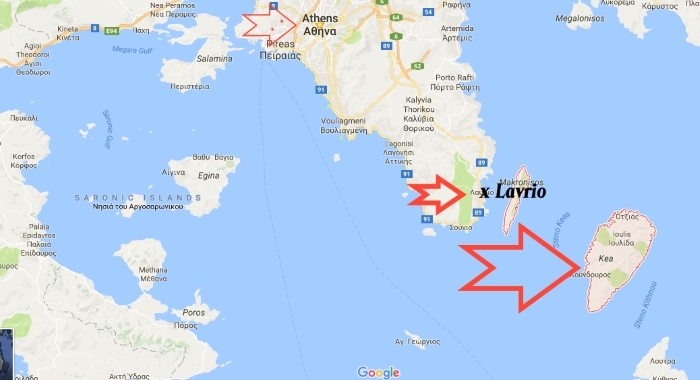 You've got plenty of time to get from Athens to Lavrio if you want to get a ferry to Kea, and if you leave Kea in the morning you'll easily be in Athens by the evening. The Lavrio ferry arrives in the port of Korissia, where you'll find the small tourist information office, which will help you find accommodation if you haven't booked ahead. There are the usual tavernas, shops and ATMs, but Korissia is a bit bland and you'll want to stay somewhere more picturesque, although there are several places to stay if you arrive late or want to leave early on the ferry. The island capital, Ioulis, is certainly picturesque. Its white houses with their tile roofs cover the slopes of a hill, and it's filled with cobbled streets, narrow alleyways and arches. One arch leads into the village itself, and if you drive there then you have to park below the village square and walk into the village. You can also get here by bus or taxi from Korissia. Ioulis is a charming, historic and relaxing place, definitely worth a few days of your time. If you want beaches, though, there are plenty of places to stay around the coast, with tavernas, apartments, and rooms to rent. They're all quite small, so book ahead if you're travelling in the main summer season, especially at weekends. In Ioulis you'll want to see the small but enjoyable Archaeological Museum. 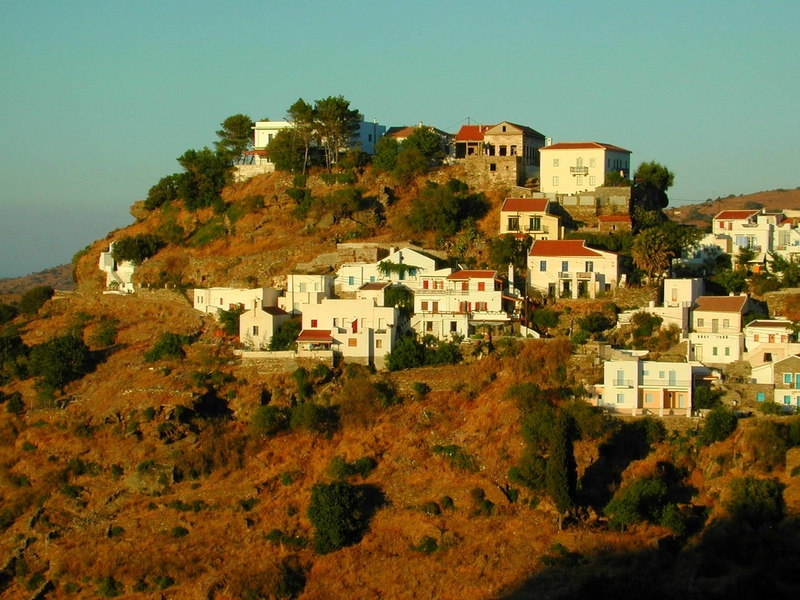 Kea has a long history, going back to a Bronze Age settlement at Ayia Irini (see below), and there are many objects from the site on display in the museum. On the edge of the top of the town you'll also want to see what's known as the Kea Lion, which dates to the 6th century and is carved from slate. The Minoan site of Ayia Irini is on the north-west coast, north from Korissia. It's believed to date back as far as 3200BC and to have been a thriving community for about 2000 years. Just south of Ayia Irini is one of the busiest of the coastal towns, Vourkari, which also makes a good base for a few days. There are some good tavernas here and you can walk to beaches easily such as the one at Otzias, about a 45-minute walk to the north-east. Kea's best beach is in the village of Poisses, which is about a half-hour drive south from Korissia, but you'll have to drive inland to Ioulis then south to get there. In summer there is a bus service from Korissia, and in the village there are a few places to stay and to eat – another good spot to enjoy a few days if you visit this lovely island that's a little off the tourist map.